We’re well into our Spring 2018 Norwex catalog, and WOW will you be so in love with our new colors! 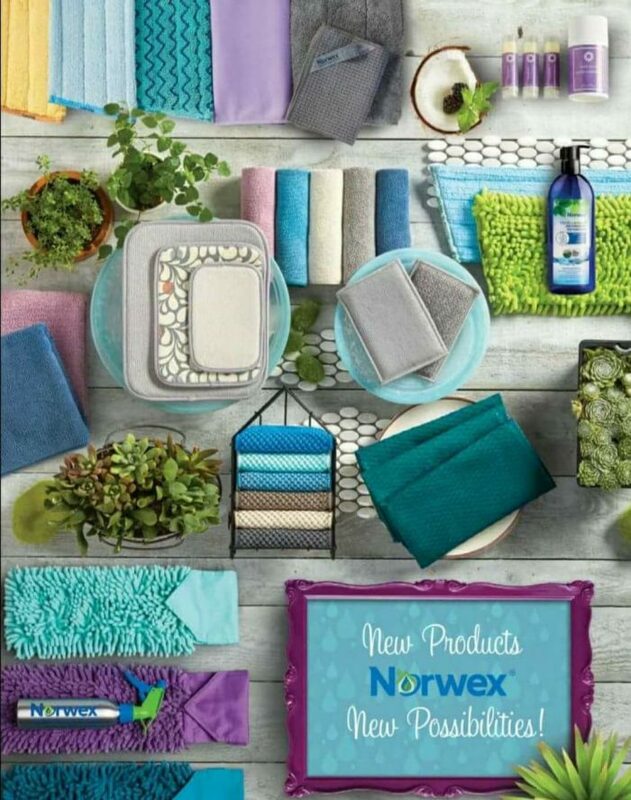 If it’s been a while since you’ve seen a Norwex catalog, you’ll fall in love with the beautiful jewel tones we’ve added in our gorgeous new Spring 2018 Norwex catalog hot off the press! 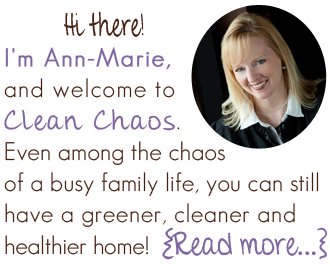 Counter Cloths – These have been such a hit at my parties! 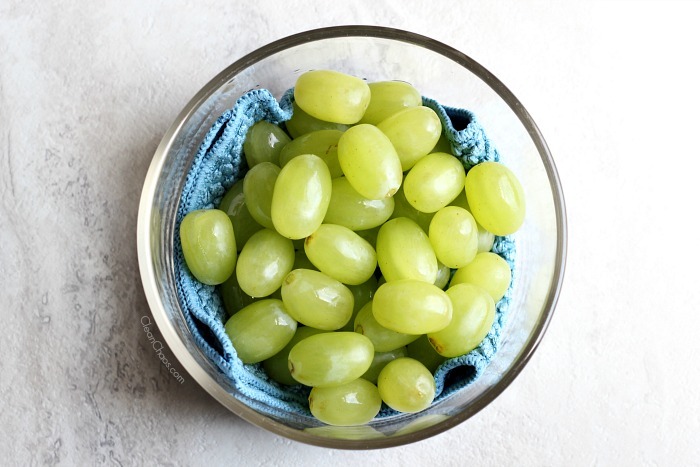 Each counter cloth is the size of a 1/2-sheet paper towel, and truly you can use them for just about any use you’d normally grab a paper towel for – wiping up spills, cleaning the counter and even to soak up moisture from fresh fruit & veggies. Available as a 3-pack in two color sets: Slate/Vanilla/Mushroom and Marine/Teal/Sea Mist. Norwex Napkins – Made from 50% recycled materials, we now have a new gorgeous color … Peacock! Each set of 4 is made from the equivalent of FIVE recycled plastic bottles, and contain our microsilver to self-cleanse. Just rinse, wring out and hang dry to use daily and use LESS paper napkins! Now available in two colors: Slate and Peacock. Lip Balms – Three new flavors in a new, larger product with USDA certified organic ingredients, gluten free and cruelty free. Choose from Black Raspberry, Orange Vanilla and Pineapple Coconut. Body Balm – If you have chapped, dry skin on your heels, elbows, hands & knees – Body Balm is perfect to hydrate and restore rough, cracked skin. Gluten free and cruelty free. Body Towels in TWO new gorgeous colors! Denim and Lavender join our line of body towels and hand towels. Body Pack: We’ve changed up our color sets a bit, and now with the new Denim and Lavender colors you can now choose from Tranquil, Coastal, Vibrant and Graphite. 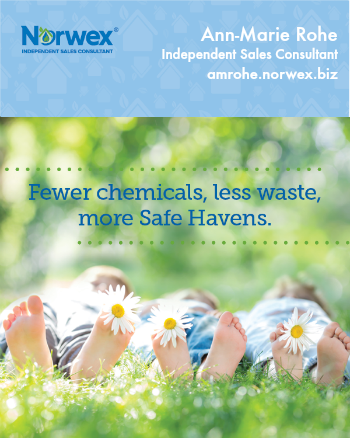 Be sure to follow me on Facebook for tips on how to use Norwex products, notices of flash sales and so much more!